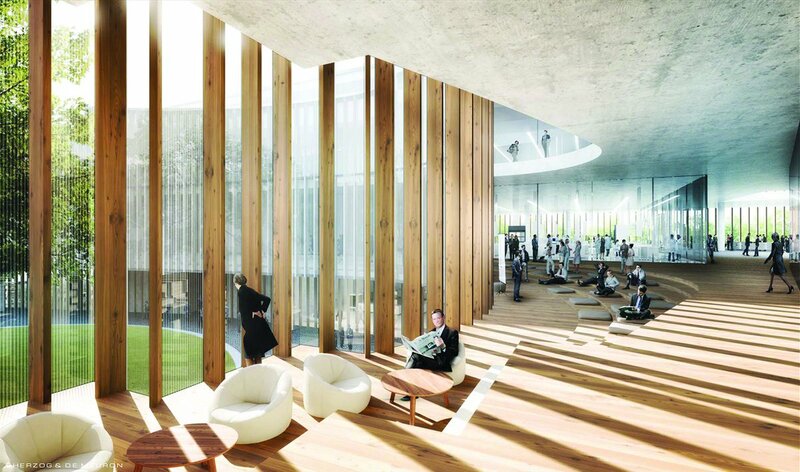 BDP were responsible for the design of a new research and development laboratory and office for AstraZeneca, in collaboration with Herzog & de Meuron architects. The building consisted of a 5 storey concrete framed structure, with a steel roof. The lowest 2 levels were situated in a basement, whilst the upper 2 storeys incorporated large cantilevers to the external envelope of the building, and around an internal courtyard. SCIA Engineer was utilized on virtually every aspect of the project. To speed up analysis, the building was split into 2 models - one consisting of the concrete frame, whilst the other formed the roof. These models were initially created by importing a revit model into SCIA Engineer. 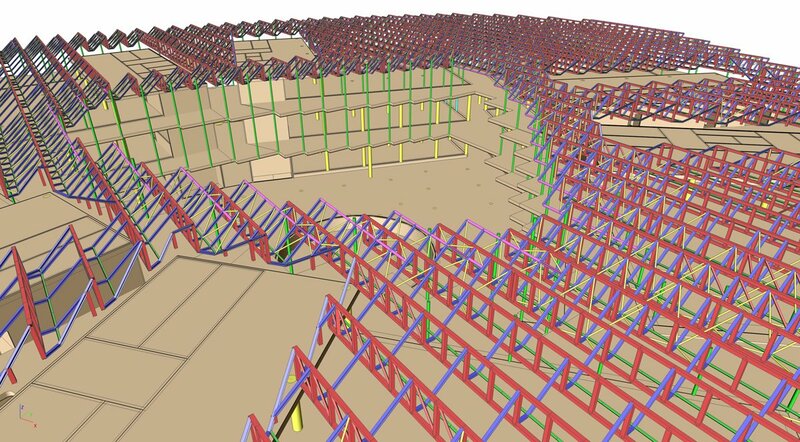 From this we were able to analyse virtually everything on the structure. Monitoring long term and short term vertical slab edge deflections. Monitoring vertical and horizontal deflections at the roof-facade interface. 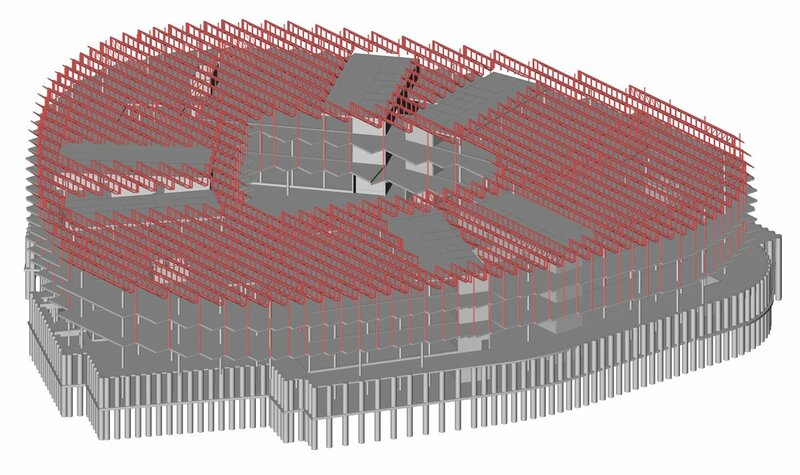 Establishing movement joint requirements across the slab by considering the impact of thermal load cases. Value engineering - Working out upstand beam requirements for the slabs and member reduction for the roof. Accurately modelling the forces and stresses within the slab with an extremely irregular column array.